Triple threat (writer-director-producer) Alejandro Montoya Marin, enters SFFF via the festival gauntlet where Low/Fi already won Best Comedy/Dramedy and Best Editing, with Kristen Rakes nominated as Best Actress at the Los Angeles Independent Film Festival this year. Shown with feature Anomalisa. LOW/FI, the clever and cute short film by triple threat (writer-director- producer) Alejandro Montoya Marin, enters SFFF via the festival gauntlet where it already won Best Comedy/Dramedy and Best Editing, with Kristen Rakes nominated as Best Actress at the Los Angeles Independent Film Festival this year. Shot locally in Albuquerque, this homegrown “Ally McBeal” demonstrates that Lea’s [Kristen Rakes] active imagination and attachment to pop culture may not be the answer to finding love. 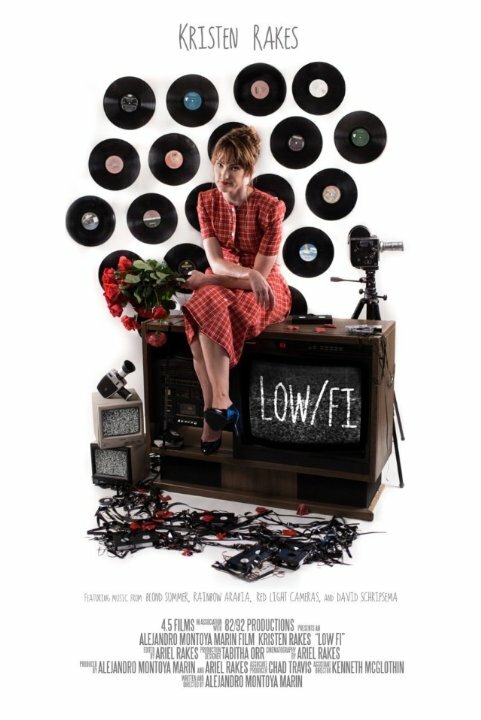 LOW/FI is about “a woman who has always been influenced by pop culture,” says Montoya, “but now that she is 30 and seeing how her life has turned out, she cuts music and film out to see if she can find true love.” The cleverness is not in the girl-wants-to-find-love-but–is–stuck-in-her-own-BS motif, but in the interplay between films and music that dictate the internal landscape of the main character. Who hasn’t been trapped by the quotes from things we see in films or music we hear in pop culture? Right, we all have, and so Lea’s mental noise is totally relatable. The b/w “vintage” footage throughout feels authentic until we watch the credits roll and we see that was made special for the film. It really makes this story so super fun to watch. I typically don’t resonate with Rom-Com type shows of any length. But LOW/FI is crafted with such a bright look at the same old finding love angle, that it should be on everyone shorts list.